We lost last night. We did not die. On the night of April 4th, 1968, Dr. Martin Luther King, Jr. was shot and killed by James Earl Ray. 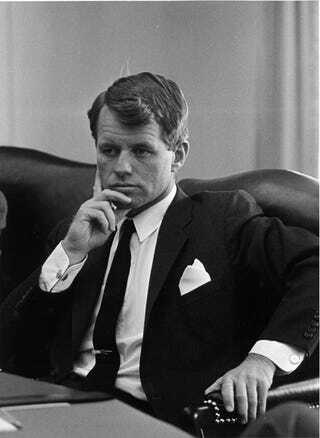 61 days later, Senator Robert F. Kennedy was shot and killed by Sirhan Sirhan. 153 days after that, Richard M. Nixon, the single most corrupt and criminal politician to ever achieve the highest office in this fine country, was elected president. In 1972 he was reelected with 49 states. We have been in dark places as a nation before. Few darker than the one we’re in now. But we persevered. We fought. We won. The ideals that Martin Luther King Jr. and Robert F. Kennedy fought and died for did not die the nights they died. It did not die the night Richard Nixon won 49 states. It did not die last night. As long as we keep the flame alive, we stick together, and we fight like those who came before us, we’ll win. We always have. The defeats of 1968 and 1972 laid the groundwork for the environmental movement, for the gay rights movement and for modern feminism. Last night has laid the groundwork for the modern environmental movement, for the modern civil rights movement, for the newest wave of feminism. Like you I mourn. Like you I’m scared. Like you I’ve reached out to everyone I could to find and give comfort. But Hillary Clinton won the popular vote last night. Her ideals won. Our ideals won. Our job now is to make Donald Trump a one-term president, to fight for every victory we can in the midterms and four years from now. It will be long. It will be arduous. But those who came before us faced longer odds, faced worse circumstances. And they prevailed. Just like we will.